Define the milestones in your sales process to keep track of where your leads are at and what follow up they need. If a lead just contacted you, put it in the "New" stage to remind you that it's a new lead which needs more follow up over the next few days to get the deal. Use the default stages in your account or customize them to meet your needs. Create Workflows (e.g. follow up plans) inside of your Stages to document the specific follow up steps you want each lead to receive when they're in a given stage. You can automate some of those follow up steps by using email steps, attaching an email template and setting it to send automatically at the desired time. This is useful for auto-responders or drip campaigns. Each LeadSimple account comes with basic stages and workflows which you can use and customize as needed. Use LeadSimple's click-to-call feature to initiate tracked phone calls to leads. Just click a button, LeadSimple will call you, you pick up your phone, press 1 and you'll be connected with the lead in seconds. An mp3 of calls can be optionally recorded. Use the built in email editor to send emails to leads and LeadSimple will track them on the lead's record so you can review them later. Even better, connect your email account to sync over all your email communication with leads, regardless of whether you send the email from LeadSimple or your email account. In addition tracking emails, you can actually track when prospects are opening the emails you've sent them. Know which prospects are engaged, and time your follow up efforts for just the right moment. There are still plenty of circumstances where you might want to take notes or log an activity manually, and LeadSimple makes this easy. Notes appear in the conversation history, right alongside your automatically tracked calls and emails. If a lead called you, you can log an activity manually to keep track of the conversation. Entering leads by hand should be the exception, not the norm. LeadSimple integrates with the lead providers you use, even your own website. Just point your web form or lead vendor and new leads will automatically be added to as soon as they come in. Bulk import from CSV or spreadsheets is also supported. When a new lead comes in from any of your lead sources, LeadSimple checks your lead routing rules to determine who to notify. You can be notified via call, email or SMS. If a user chooses the call notification they will be called when a new lead comes in. If they pick up, LeadSimple will read off info about the lead and give them the option to "press 1 to call the lead back". Pressing 1 initiates a tracked phone call to the lead, connecting the agent to them in seconds. You can add all the people in your company who work with your leads as users on your LeadSimple account. This gives each agent has their own login and LeadSimple will track all their activities separately. Agents can also be given permission to see leads assigned to other agents. This allows them to collaborate on a deal or work another agent's leads while they're out of town. Users can be given full, or partial access to the account. That way they can only see and customize what they need to do their job. LeadSimple allows you to restrict or open each user's access to settings, specific lead types, leads assigned to other users, unassigned leads, and more. Lead types (or pipelines) allow you to track different kinds of leads separately; your prospective owners and prospective tenants, for example. Not only does this allow you to track your different leads separately. It also makes it easy to use one system to manage multiple teams in your company in one place so you don't have to use multiple systems for your sales. 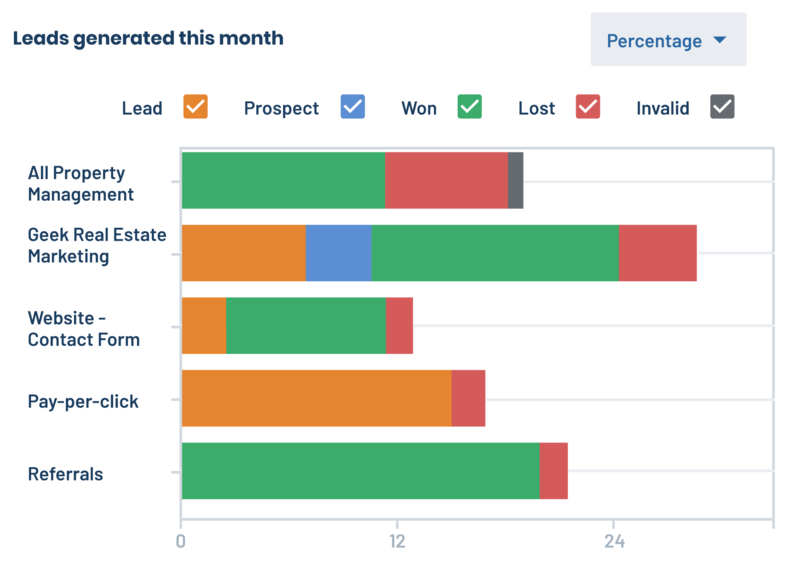 The lead dashboard puts your most important sales stats at the top, right above your lead list. No need to dig through reports. Use powerful filters to drill down and segment your leads by lead source, agent, last touch, sales stage, etc. Ever wonder how much business each of your agents has closed so far this year? Or how well your lead sources converted last year? Or how the profitability of your advertising has changed over time? Answer those questions and more with the closed business report. Are you looking to better track and measure the performance of your agents? 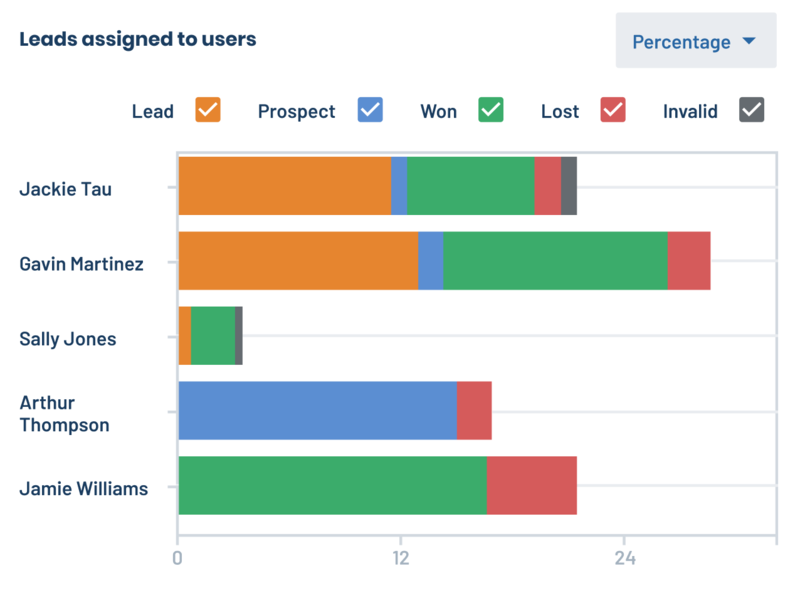 Use the Agent Performance reports to see how many leads are assigned to your agents, how long their sales cycle is, how fast they're responding and more. Do you need clarity on what marketing channels are most cost effective, which leads convert best and how long it takes to close leads from each source? Keep tabs on how your marketing is performing by seeing where your leads are coming from, how much you're spending on each channel and which ones provide the best return on investment. 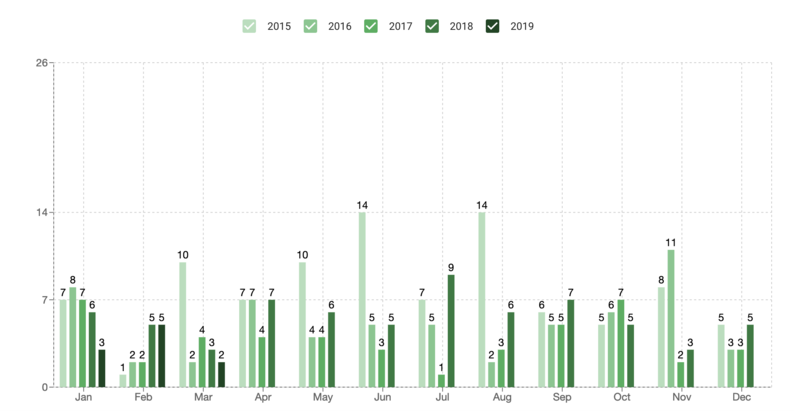 LeadSimple's Company Trends reports help you track the growth of your business compared to past years. You can also compare metrics in your company (e.g. responsiveness, conversion rate, sales cycle) against the LeadSimple user average, giving you insight into where you excel or need to improve. Keep tabs on your open opportunities with LeadSimple's Pipeline Health reports. 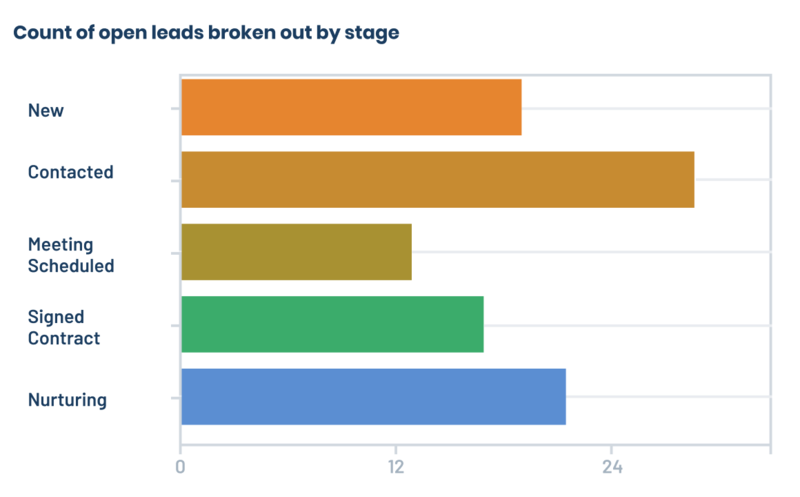 With these reports, you can see how many leads are in each sales stage and how long they've been there, allowing you to spot bottlenecks and at-risk deals. MailChimp is a powerful bulk email marketing service. LeadSimple's direct integration with it allows you to push your leads in LeadSimple into a MC list, track MC subscriber activities (email opens, clicks) into LeadSimple, and track LeadSimple lead data in MailChimp. Zapier is a service that acts as a hub spoke centerpiece which sits between LeadSimple and over 1,000 other software products allowing them to freely communicate with one another. This integration is useful for triggering actions to take place in another software tool you use when a particular event happens in LeadSimple (e.g. when a lead is created). Nearly everyone is carrying a smart phone around these days and it's proven that people will at least read, if not reply to, every text message they receive. Why not take advantage of that opportunity? LeadSimple tracks outbound calls out of the box, and with inbound call tracking, you can effortlessly capture return calls to every agent with a LeadSimple phone number. You can also provision phone numbers for your inbound marketing campaigns, and automatically capture call-in leads in LeadSimple. Your website probably attracts many qualified visitors who never fill out your contact form. Give them a reason to connect with you by advertising an educational resource in exchange for their email address. With the Marketing Automation addon, you can embed Lead Magnet forms on your website and capture more leads. In addition, LeadSimple can track which pages leads are viewing on your website, and trigger stage changes based on this activity. "We looked at SalesForce and other CRM products and they were so complicated I would have to retrain my entire staff before we could use it. LeadSimple really fit what my needs were."